The street-sweeper comes to our neighborhood early on Tuesday mornings. We’re requested to park in the driveway so he can get right up to the curb. It’s not a big deal to do, and our street always looks neat and clean. A few weeks ago, we forgot to move our car. My husband, Patrick, and I heard the rumble of the equipment as it rounded the corner, but by the time we realized our car was blocking him, he’d already disappeared down the street, leaving behind the seed pods and other debris that normally collects during the week. Patrick ran out of the house and jumped into the car. As the street-sweeper approached from the other side of the street, he flagged him down. Using universal sign language, he pleaded his case with his hands and his eyes. The sweeper obliged. He made a U-turn and the end of the block and came back on our side of the street, slowly and carefully making sure he collected everything in his path. With more sign language, Patrick thanked him sincerely and with much emotion. The sweeper smiled and tipped his hat. Patrick felt grateful all day. In fact, he felt grateful the next day too. He decided to do something nice for the sweeper in return. I should mention here that Patrick has an addiction. 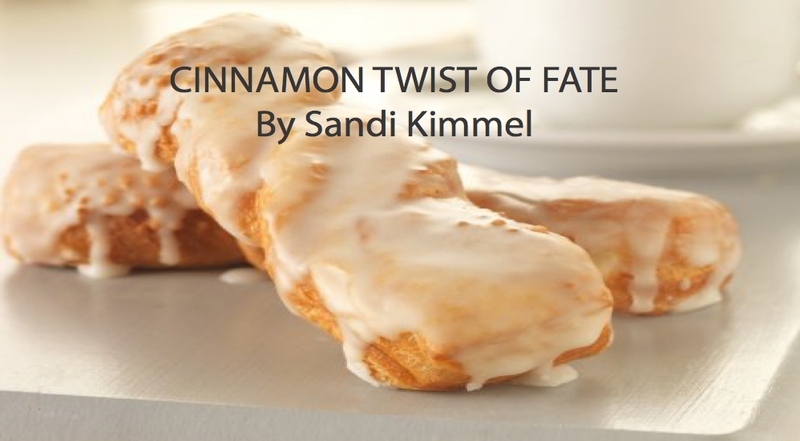 There is a bakery in town that makes Cinnamon Twists, and he’ll use any excuse to head over to that part of town to pick up a few. Sometimes, they don’t even make it home. A plan was hatched. He would buy a Cinnamon Twist for the street-sweeper late Monday afternoon (so it would still be fresh and delicious on Tuesday), and wait for the truck to hand him the prize. Tuesday morning shined brightly. We were sitting at breakfast when we heard the familiar rumble. Patrick leaped out of his chair, grabbed the bag he’d set aside with the pastry and some napkins, and dashed out the door. I watched from the window. He waved madly, flagging the truck to a halt. He reached up with his offering and the driver looked positively stunned. He took the bag, smelled the inviting cinnamon scent and smiled the biggest smile we’d ever seen. He yelled over the din, “Thanks, man!” and tooted the horn as he disappeared down the street. Patrick was elated. It made his day. His elation and the driver’s obvious delight made my day. And even though the incident was small, I know that the ripple effect of the kindness touched everyone in our paths that day…and it reverberates throughout the world even now.